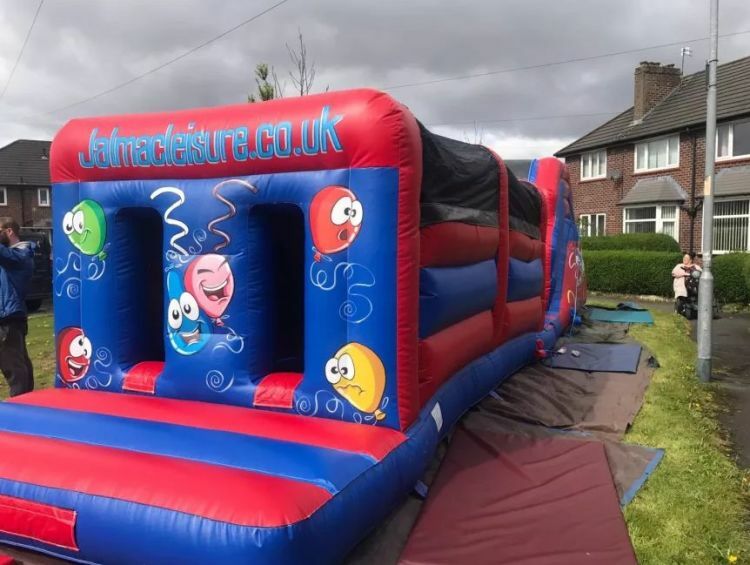 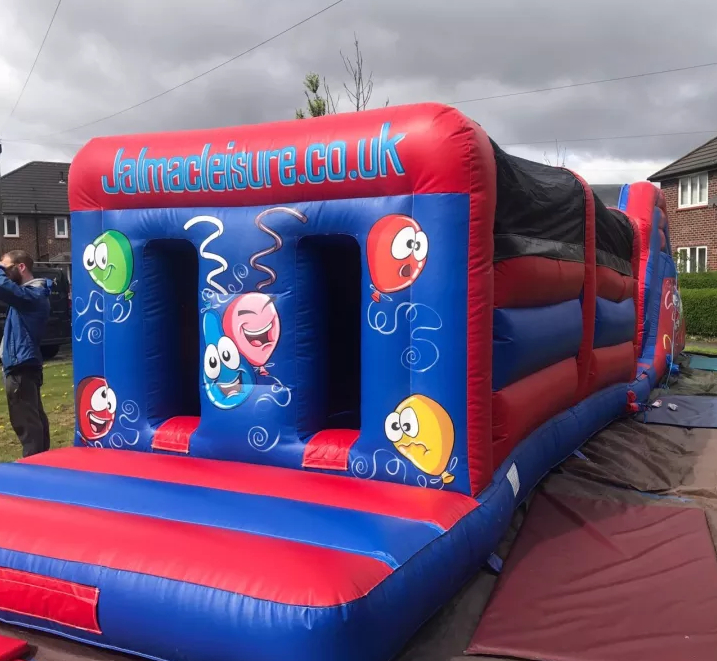 Have a fun filled time in this lovely assault course- duck and cover, roll, crawl commando-style through the assault course, and see if you have what it takes to be the best. This is a very long assault course - it's truly exhausting! Includes up and over slide.